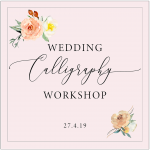 Calligraphy-for-weddings.com is the UK’s foremost modern calligraphy studio, founded by Claire Gould in 2005 and trusted by hundreds of brides and grooms worldwide. Between us we’ll make sure your wording and personalised details are just perfect (via direct message / email chat). 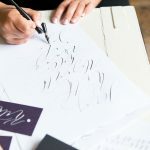 My online shop also has unique calligraphy gifts for special occasions: handwritten and printed calligraphy poems, wedding readings and family tree prints. Any of these items can be personalised or adapted especially for you. If you’d like to commission something unique for your wedding, then I’d love to help. 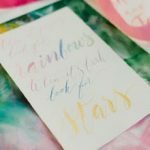 I work with couples all over the world to create beautiful, artisan wedding stationery with a personal touch you won’t find anywhere else. 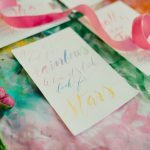 I specialise in luxe, handmade paper invitations and organic calligraphy lettering styles and work with hand-dyed silk ribbons, elegant gold threads, quality wax seals and stamps to create bespoke wedding stationery with a luxurious, unique finish. Starting with your ideas for colours, papers and styling elements, I can design modern calligraphy themed stationery to perfectly suit the style and tone of your wedding, so every element from your Save the Dates to your seating plan is not only beautiful and unique, but perfectly represents your personalities and the spirit of your day. 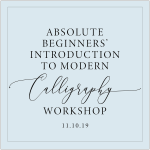 Join me for a modern calligraphy workshop and learn something new! Learn a new craft in a lovely, friendly environment. 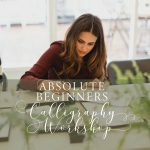 Modern calligraphy is relaxing and can be the most wonderful hobby! Materials are provided, including your pen and nib to take home! I teach every workshop myself, and they’re hosted in different locations around the north west of England. 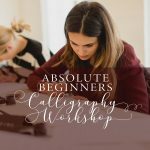 Every workshop is aimed at beginners – I’ll start by showing you how to hold a calligraphy pen and you’ll learn how to write beautiful alphabets and quotes in no time! 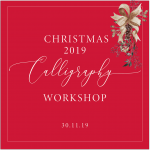 Click the links above to book, or for more information and to check latest dates see all workshops. 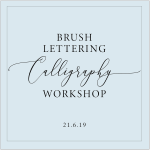 To hire me to teach a calligraphy class in any other UK location please get in touch. 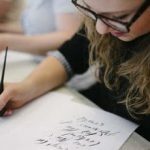 I’m very happy to travel to new places and share the art and enjoyment of learning modern calligraphy! 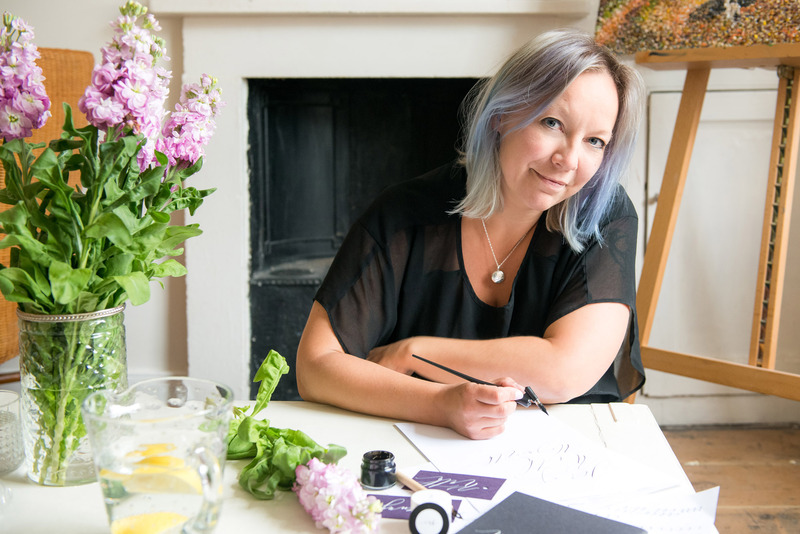 Please sign up here if you’d like me to let you know about new calligraphy workshop dates. Have pens, happy to travel! 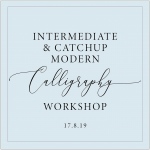 If you have a craft shop, cafe or workshop venue and are looking for a calligrapher to come and teach a modern calligraphy session, I’d love to hear from you!